The State Oil Company of Azerbaijan (SOCAR) is a key participant in the Georgian natural gas market, and this is a big responsibility. 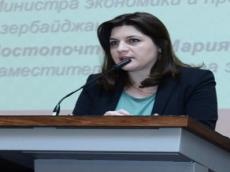 Adviser of SOCAR’s Georgia office Mariam Valishvili made the remarks at the high-level political talks on the gas market of Georgia, held at the organization of the European Energy Society in Tbilisi. She said that the cooperation between SOCAR and the Georgian government was established several years ago. Touching upon reforms in the gas market of Georgia, Valishvili noted that SOCAR does not intend to abandon the natural gas market of Georgia. “We are able to apply all the new rules in the gas market. SOCAR is ready for competition,” she concluded.